An ecosystem is comprised of all living things that share an environment, from plants and animals to microscopic organisms. Everything in an ecosystem has an important role that brings balance, continuity, and beauty. The Amazon rainforest is the most extensive tropical forest on Earth, with the highest density of plant and animal species anywhere. The Amazon provides essential ecosystem services, stabilizing the world’s rainfall patterns and storing massive amounts of carbon that mitigate climate change. 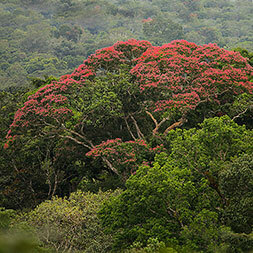 These forests are also home to millions of indigenous people. Learn more. 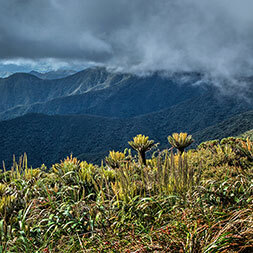 The Andean cloud forests hold the highest number of endemic species – plants and animals that are found nowhere else in the world. 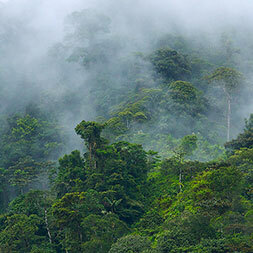 Many biologists consider these forests to be the world’s greatest conservation priority, due to the sheer number of species and high degree of threat. Learn more. Páramo grasslands are high-altitude ecosystems situated above the timberline but below the permanent snow line. 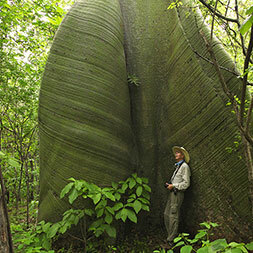 Their vegetation is composed mainly of grasses, shrubs, and giant rosette plants. 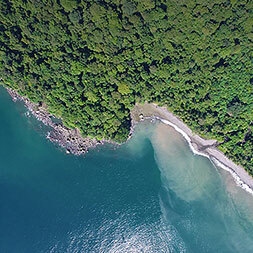 Recently, we have seen a surge in interest by municipal governments to protect these landscapes in order to secure a clean water supply for their people. Learn more. Tropical deciduous forests are dense during the wet summer, but during the dry winter the leaves fall and the canopy opens up, resulting in a wide array of uniquely adapted species. We work with local communities to conserve these fragile forests, with many rare and endemic species, while creating livelihoods for local people. Learn more. Mangroves, estuaries, lagoons, and oceans support the complex webs of life that sustain marine fisheries and provide the freshwater to form wetlands. They are also significant for their marine biodiversity and critical for migratory birds. The Ecuadorian, Colombian,and Peruvian marine areas where we work are some of the richest on Earth. Learn more.